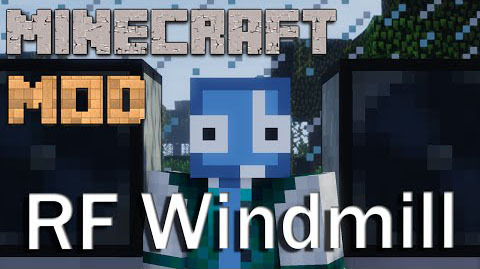 Redstone Flux Windmills Mod 1.12.2 adds four tiers of wind turbines based on Thermal Expansion’s machine frames (basic, hardened, reinforced, and resonant) with increasing RF generation and internal storage. The exact RF/t varies depends on altitude and space around the block, with the turbine producing no energy at all at a height of 60 blocks or below, and producing maximum energy at an altitude of 100 blocks or more. 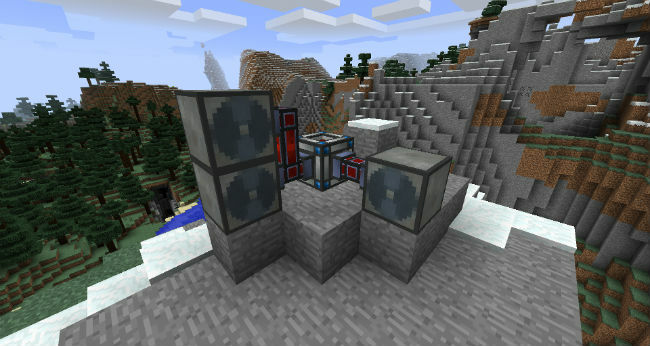 The turbine also needs space for the air to flow, and so placing blocks in direct line of the rotor (closer than 10 blocks) will also reduce the turbines effectiveness. These are only preliminary though, they’re subject to change if found to be too high/too low. 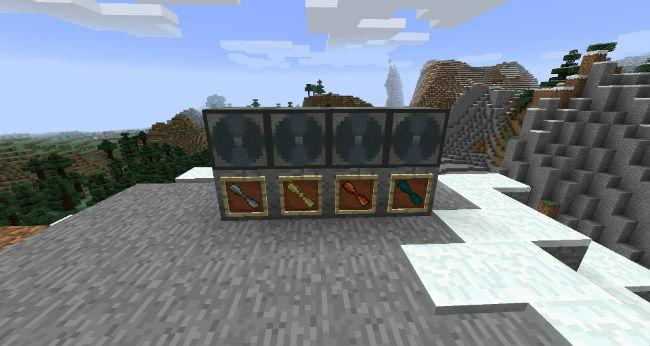 Sneak-right clicking on a wind turbine will report its current (and maximum) energy storage, and sneak-right clicking with a Buildcraft-compatible wrench will instantly drop the block with its storage intact. Right clicking with a wrench will turn the turbine to face you, but they face towards you when placed too.